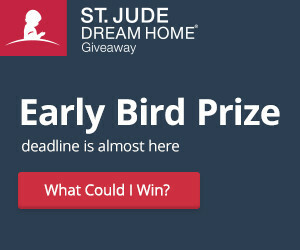 Reserve your tickets for the 2017 St. Jude Dream Home today at 1-800-543-5887 for the November Giveaway of the St. Jude Dream Home. The earlier you reserve, the more prizes you can win! Reserve your ticket by August 25 and you will also be eligible for a Hawaii getaway for two, courtesy of Noble Credit Union. Reserve by September 15 to also be eligible for groceries for a year, valued at $5,000. The 2,500 sq. 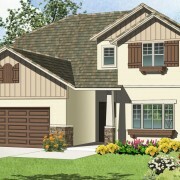 ft. home in the De Young Holland Pointe community located in Clovis will be offered as the first place prize to raise funds for St. Jude Children’s Research Hospital to fight cancer and other life-threatening diseases. The 2017 St. Jude Dream Home will include a signature designed suite from Michael Moloney. De Young Properties worked with Michael on the Emmy Award-winning television show Extreme Makeover: Home Edition, where they teamed up to build and design a home full of inspiration for a local hero. Due to the overwhelming success of last year’s Dream Home, Michael will once again donate his design talent and resources to one very special project, “Michael’s Mystery Suite”, which will remain off-limits during the construction and will be unveiled at a September event. “Michael’s Mystery Suite” will transform the master living quarters into an all-encompassing suite of colors, textures and the unexpected. De Young Properties and Michael Moloney are excited to collaborate on this special project which will benefit St. Jude Children’s Research Hospital. The 2017 St. Jude Dream Home is one of the newest De Young floorplans and will offer four bedrooms, three bathrooms, generously sized loft and a popular private entry complete with a Drop Zone area to be used as a catch-all for everyday items. The winner’s dreams will come true with the home’s long list of special features, including a beautiful Cottage elevation, durable quartz counters, stainless steel Bosch appliances with gas cook top. In addition, the home offers water sense and elegant Brizo premium faucets, an Energy Star-rated Rinnai tankless water heater, premium-grade hardwood and tile floors by Shaw Floors, spacious 10’ ceilings, professional front and back yard landscaping and Energy Star approved Eagle Brand Cool Roof Tile. The 2017 St. Jude Dream Home is designed with De Young SmartHome technology to provide exceptional energy-efficiency, environmentally-friendly features, security, financial control and an overall improved quality of life while maintaining quality craftsmanship and true comfort. These EnergySmart homes are energy-efficient and come with a host of earth-friendly features and apply green building practices that create a healthy environment in which we live. These building practices include high energy-efficiency, improved indoor air quality, water conservation and sustainable building practices. Additionally, De Young SmartHomes have independent inspections for third-party review. Taking the technology a step further, this SmartHome features De Young ControlSmart technology to make your home intuitively smart. The prime Clovis location of the St. Jude Dream Home is within walking distance to Regan Educational Center and located within the greater 3,300-acre Loma Vista master-planned community designed by the City of Clovis. In addition, it is a short drive from Clovis Community Medical Center and a variety of entertainment and dining options including the Sierra Vista Mall, The Square at Campus Pointe, Old Town Clovis and even Wild Water Adventure Park. Easy access to Highway 168 and Herndon Avenue can provide a fast work commute during the week and a family outing to Shaver or Huntington lakes on the weekend and even more. Tickets are available now at 1-800-543-5887 and you can tour the St. Jude Dream Home beginning in September. The winner will be announced on FOX26 in November.